There is no magic formula to successfully market a business in social media, good results depend on hard work. It is true that by following popular strategies you can increase the chances of success (assuming you have the time to identify and implement them), however, setting clear goals should be the very first step. Even if you have an advertising budget, but do not apply fundamental principles for the success of your brand, any apparent achievement will last very little. In social media platforms what is worth the most is transparency, authenticity and immediacy. To achieve your objectives it requires skills, research, commitment, & time. As if all this was not enough, add to the equation the number of tasks that need to get accomplished so your brand gets results. Example: You must identify relevant content, write copy for posts (at least several publications per week), and then generate audiovisual content to create impact with each post, whether is through GIFs, memes, videos, etc. These steps only serve to maintain your current followers committed. If you want to create marketing that reaches new followers and potential customers, the level of complexity increases exponentially. Although much has been said and written on this subject, there are certain universal principles that are common among successful businesses. Let's now focus on five of the most important aspects of online marketing. Many businesses decide to launch a campaign on social platforms without being clear about their goals, only to later realize that they do not have enough content to maintain the momentum of it. 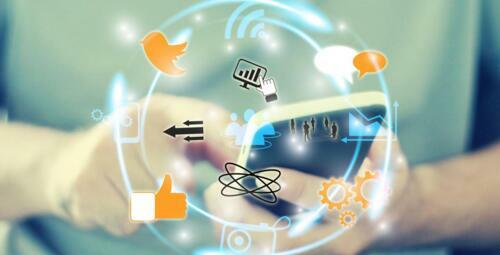 What are the objectives you want to achieve in social platforms? Promotion and brand recognition, improve public relations, organic positioning in search engine optimization (SEO)? What social networks are you going to use? Facebook, Twitter, Instagram, LinkedIn? Who is your audience? How can you achieve better results than your competitors? These are just some of the many aspects that should be considered before trying to promote a business in social media. If you're not a brand like Red Bull or a celebrity like Kim Kardashian, chances are you will not have much overnight success on social media. The attention on these channels is not free, it is won. Even if you have a massive budget behind your marketing strategy, you will still need to generate engagement via relevant, original, and genuine content. The quality of the content you share has a lot to do with how the audience responds to your brand. The more you engage on Twitter, Facebook, Instagram or other social networks, greater is the likelihood that your audience will respond positively to what you offer them. You don't get a second chance to make a great first impression. Treat members of your audience as VIPs from the start. Thank them for following you. Ask how you can help them. Speak directly to their needs and interests, not yours. Show them how much you appreciate the time they are taking to see, hear and share what you post. Social media has made it possible for you to reach your followers, consumers and prospect clients in real time. The only bad news is that they will communicate with your brand at any time and expect an immediate response. There are no schedules in social platforms, here if you fall asleep, you lose. One of the biggest mistakes marketing, advertising and business owners make is to forget the "social" element that should characterize their messages. Users expect to interact with other people in social media, not with logos or trademarks. The audience will only be attracted to businesses that show human values ​​in their communication. Be kind. Be generous. Be yourself. Cold, calculated and artificial content will not get you anywhere. You can always highlight the positive and relevant attributes of your brand or service, but do not pretend to be something that you are not. A sincere, honest and genuine personality will always carry your brand much further in any social network.